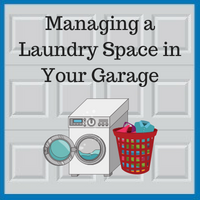 Many families opt to use their garage space for extra storage. Some items commonly found in this storage space are yard tools, fitness equipment, out-of-season holiday decorations, spare furniture, and those mystery boxes that never got unpacked during the last move. These items are great hiding spots for rodents, reptiles, and insects, all of which are unwelcome surprises while doing laundry. If you spend a couple of weekends reducing clutter and deep cleaning your garage, you will be surprised at how much more appealing the area can become. Add personal touches to your laundry space to make it more welcoming. Consider painting the area a color you find appealing or relaxing. Decorate the windows with curtains. Make sure you have a shelf with an outlet for your cell phone, enabling you to watch a show, listen to music, or tune in to a podcast. Add a rug. Hang a bulletin board or decorative wall art. Bring part of the theme from inside your home into the garage. Making decisions about home improvements can be challenging, but Blue Sky Builders is here to help. We understand that you have worked hard to make your home top quality and that you want your house to reflect your lifestyle. If you have questions about how to make your garage space accommodate your needs, please contact us at 630-852-8485. 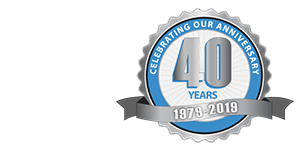 If you would like to see some examples of our garages, check out our gallery.